It is at this point that Leigh Bortins is helpful. She very well knows the challenge facing thousands of homeschooling moms around the country who are educating their children classically. She knows how to start at the beginning (a very good place to start) and keep things simple, elegant and achievable. Now to use a word like “simple” to describe a book about classical education (which can be complicated and which many complicate) may sound like a criticism, but it is not. To take something big, various and complex and reduce it to its essential attributes is no easy task–it takes intelligence and self-control. I know this first-hand because I am one of those who is prone recklessly to dive into deep waters and then eagerly report what I don’t really yet understand. The recovery of the whole of classical education will take at least another generation–it is a long obedience, a a long labor of love. Bortins is wise: it turns out that homeschooling parents need a clear practical books first and foremost, and these are the kind of books she has set out to write. We need to walk before we run, and Bortins has set many to walking and walking fast. There will be time for other books and deeper learning, but the classical tradition should not be needlessly complicated–ever–but especially at the beginning. So Bortins walks us into the tradition of dialectic, the art of asking wise questions that lead students to do the same. She crafts the book around the common topics of Aristotle: definition, comparison, relationship, circumstance and testimony) and shows how these topics or “lines of argument” can enable students to ask thoughtful questions of any art, study or discipline, essentially equipping students to engage truth, goodness and beauty wherever they are found. These common topics come from Aristotle’s Rhetoric, but they are well-suited to introduce us to dialectic. The fact that Bortins would use key content from rhetoric as key components of dialectic underscores two points: 1) Rhetoric did not (and need not) always follow dialectic. Rhetoric (aspects of it) can be taught earlier though its most prevalent place was after dialectic 2) Dialectic and Rhetoric are integrated and not completely discrete disciplines. Yes, we can use rhetorical elements (the common topics of invention) to engage in dialectic teaching. Yes, we will use logic as we engage in the teaching of rhetoric. The liberal arts can be used with great versatility–even to teach each other. I am glad to be a part of a strong new book on classical education to be released this December. Kevin Clark and Ravi Jain have been working on a pithy book on the philosophy of Christian classical education for over five years, and taken the book through some eight versions, as they have sought critical feedback from professors, scholars and teachers. The result is a short book of about 200 pages that is remarkably clear, historically accurate and philosophically intelligent. As a general introduction to classical education, I think it is the ideal “201” book that will take readers to the next the level of understanding after reading books like Recovering the Lost Tools of Learning (Doug Wilson), Wisdom and Eloquence (Evans and Littlejohn), The Well-Trained Mind (Bauer and Wise), and The Core (Bortins). 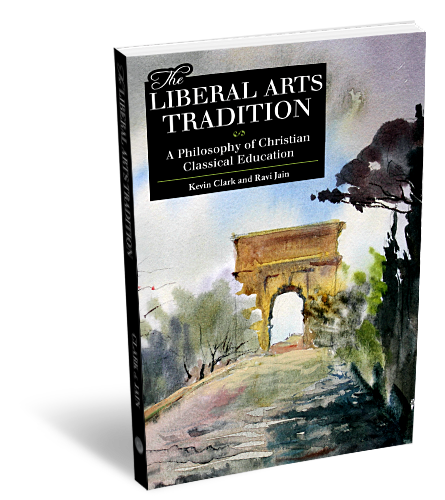 The name of the book is The Liberal Arts Tradition: A Philosophy of Christian Classical Education, to be published by Classical Academic Press this December. Dr. Peter Kreeft wrote the foreward for this new volume (a meaningful endorsement) and I am lucky enough to write the “Publisher’s Note.” Here is my note below, posted with the hope that it may further whet your appetite for this excellent book. Seeking to recover a lost art or craft is a difficult endeavor. There are few, if any, who are masters of the craft or art and who can teach the necessary skills to those coming behind. 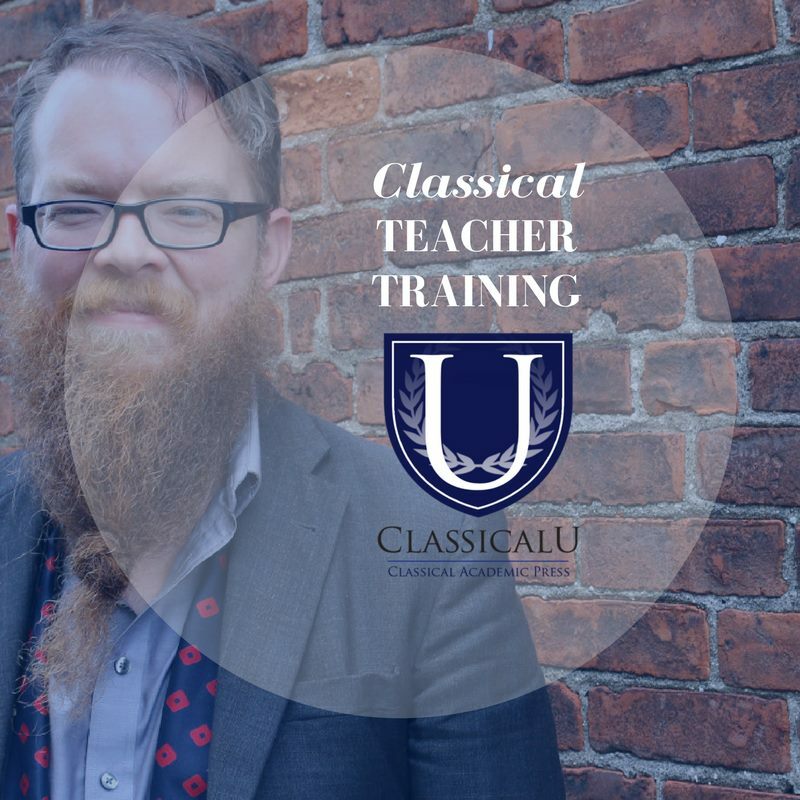 Those of us who have been trying to recover the art of classical education have been in that awkward position of trying to craft a curriculum and pedagogy without training and only a few tools. We have tried to give what we were not given ourselves. We are trying to reconstruct a bridge without having studied bridge building. The good news is that the recovery has been underway for about thirty years now, and some good books have been written and many great old books found and read. Beyond that, there have been many who have been building bridges—actually implementing a recovered classical Christian education in our schools/homeschools and slowly learning the art, often through a good deal of trial and error. We are slowly finding our footing, finding ourselves walking more confidently on the old paths and finding the old way very much suited to our own new times. The bridge may not be beautiful, but it’s now functional and people are crossing over. Slowly the bridge is getting wider and stronger and gradually more attractive to the eye. Kevin Clark and Ravi Jain are two educator-philosophers who have been reading the old and new books and implementing their ideas at the Geneva School in Winter Park, Florida, for some ten years—building the bridge. What’s more, they have discussed their ideas with peers and critics over this span, inviting leading educators and professors from around the country to engage and critique their ideas. In this crucible of give and take, their ideas have evolved and clarified and have resulted in this pithy, clear, and profound book, setting the model of Christian classical education before us in bright light. To those who have read Douglas Wilson’s Recovering the Lost Tools of Learning or Evans and Littlejohn’s Wisdom and Eloquence, this book will prove to be the illuminating third book that helps complete the bridge linking us back to the classical tradition of education. I have noted that this book is pithy and clear. It is. Clark and Jain took this manuscript through some eight editions, refining the text more each time, knowing that the discussion of classical education is often confusing on many levels. In at least two ways Clark and Jain bring clarity where it has often been lacking. First, they clarify the confusing taxonomy of the classical curriculum (scope and sequence) and they define terms. They accomplish this with a historical survey of the classical curriculum as well as a contemporary survey of its application and terminology. Too often we find an unstable blend of modern terminology and traditional classical categories. Generally there is talk of the Trivium and Quadrivium—blended with many other kinds of terminology and classification. We are not sure what is specified by “art,” “science,” “humanities,” “grammar,” or “natural philosophy,” because these various words are used in different ways and already have a wide or uncertain semantic range. Clark and Jain bring much-needed clarity to this discussion. The second way in which Clark and Jain bring clarity is by showing us the entire context of the classical curriculum—a context that is larger than the seven liberal arts of the Trivium and Quadrivium. In fact, for the first time (for many) they show us explicitly how singing, worship, poetry, recess, stories, drama, and field days are in fact an integral part of a classical education. 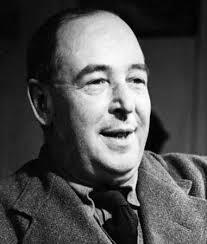 They show us how history, literature, philosophy, and theology (not liberal arts) are critical to the tradition. They summarize that context for the integrated, holistic, and humanizing curriculum as PGMAPT: piety, gymnastic, music, arts (the liberal arts), philosophy, and theology. In my thinking, PGMAPT has already become the mental overlay I use for reflecting on the general endeavor of classical education—it is the best big picture I have seen. This model proves to be very helpful to elementary school educators (especially in grades K-2) who do not teach Latin, logic, or rhetoric and who often ask “How do I teach classically?” Well, a Kindergarten teacher is indeed a profoundly classical teacher who helps establish young souls in piety, gymnastic, and music—priming and cultivating the affections, loves, wills, and bodies of children at a time when they are docile, receptive, and eager. It is these teachers of the young who make the first deep and lasting impression on the souls of children—tuning their hearts and training their bodies, engaging them in a holistic and essentially “musical” education, and educating them in wonder that teaches “passions more than skills and content.” It turns out that the classical primary teachers are the exalted “wonder-workers” of the school. In this respect, the primary teachers lead the entire endeavor, as “wonder” is a condition for all future study. This model is also helpful to upper school educators who teach literature, history, theology, and philosophy. Training in the liberal arts while humanizing “goods” in themselves nonetheless prepares students for the formal study of philosophy and theology. There is a kind of biblical study that is present even in kindergarten, but the formal study of theology requires the training of the liberal arts to be done with mastery. Thus Clark and Jain say that classical education is “grounded in piety and governed by theology,” which is to say that biblical truth is both the beginning and the end (the arche and the telos) of Christian classical education. This recovered full model of classical education (PGMAPT) gives the twelfth-grade theological educator his rightful place. Though the formal study of theology comes last in the sequence, she nonetheless is the governess guiding the entire educational enterprise, giving coherence and unity throughout—the “queen” of the arts. 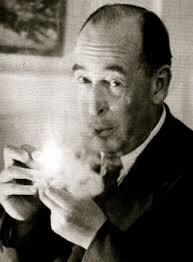 If recovering classical education is like recovering a lost art, it might also be like trying to remember a hazy dream. In the reading of dozens of books on classical education, I often experience the exercise in a kind of dream state. I find myself catching glimpses of things that I know are part of a great whole, as if I once knew that whole but can’t quite remember it. When another book restores some part of that whole, I put that part into place with a flash of recognition—as it fits into place I recognize that I once knew it. Who will restore to me the whole? How can I remember what I once knew? Well, Clark and Jain have helped stir these collective memories, telling us who we once were, restoring our narrative, restoring our rightful inheritance. How do they do this? Over ten years they have somehow succeeded in remembering who we all once were and they can now tell the story that awakens us. PGMAPT is that story, and I think you will immediately recognize it as your story, as the education for which you have yearned and want to give to your children. 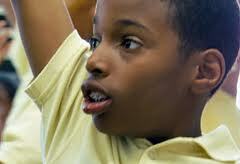 It is hard to watch David Guggenheim’s documentary Waiting for Superman without leaning into the screen with anticipation and hope, only to droop with disappointment, yes even despair. It is the kids that do that to you—real children with real dreams, bright and earnest, brimming with surprising potential, supportive parents or grandparents, hoping and praying they can be one of the few selected (by lottery) to attend a promising charter school. They don’t get in (with two exceptions). 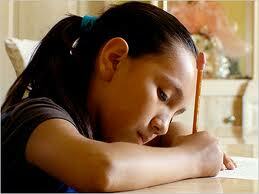 Daisy is a Hispanic elementary student from a challenging section of Los Angeles (East LA). The camera follows her for most of a year, recording her at school and home diligently studying, talking excitedly about her dreams to be come a veterinarian. After watching her for a few months, you have no doubt she could become veterinarian (or just about anything else.). Her extended family pulses with her potential, believes in her, as you do. If she stays in her public school system, her chances of going to college are virtually nil. A local charter school offers hope—the camera reveals the charter school is doing excellent work and could keep her on her dream’s path. After getting to know Daisy and her family, you watch her sitting in the public lottery, fingers crossed, with hundreds of other students all vying and praying for one of the few spots at the school. She doesn’t get in. She will have to attend her local middle school, which has a 40% graduation rate (from eighth grade). And so it goes with several other hopeful students followed by Guggenheim’s camera. The film gives the impression that Guggenheim is no natural critic of public, government education and that perhaps he would have liked to put his own children in a public school in Los Angeles. Diane Ravitch (in her critical review of the film: http://www.nybooks.com/articles/archives/2010/nov/11/myth-charter-schools/?page=1) points out that Guggenheim himself attended Sidwell Friends, an elite preparatory school in Washington, D.C. (Obama’s children attend Sidwell). Whatever his predispositions toward public education, when his children became of school age he simply could not seriously consider enrolling his children in the local public school. For him, the raw data was persuasive: too many students were getting lost in the school system, unable to realize their academic potential, far too few even graduating from high school (in some cases below 20%). What was going wrong inside these schools? He set out to find out and produced Waiting for Superman (he also produced An Inconvenient Truth, about global warming) and enrolled his children in a private school—because he could afford to. What goes wrong in these schools is nothing new to anyone even generally familiar with urban, public education. Bad teachers can’t easily be removed. Even with significant funding, good books and supplies are scarce (and often poorly treated or destroyed by students). Students disrespect teachers and teachers endure students. 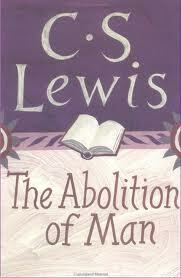 Resolute administrators become disillusioned and give up, or become opposed (by powerful teacher unions) and forced out. Schools lack a culture of study, rigor, discipline or optimism and instead become soul-squelching institutions dominated by popular youth culture and the culture of the street. All this is nothing new. What is new is what the eye of the camera reveals. We don’t just hear it, we see it, and we see the Daisys of the world being lost. We also see some remarkable people working for change. Michelle Rhee (former superintendent of Washington, D.C. schools tell us of her experience trying to reform one of the worst-performing school districts in the nation. She worked valiantly, was opposed venomously, then removed when a new mayor was elected (campaigning that he would remove her if elected). Rhee concludes that the biggest obstacles to reforming the D.C. district is not money or curriculum but the teachers themselves (not all, perhaps not most, but enough) who are more concerned with their job security (tenure) than students and their welfare. Another administrator with Kipp charter schools (http://www.kippny.org/) is doing noble work providing a superb education to minority students in Harlem. Kipp seems to prove that poverty does not keep students from an excellent education—bad schools do. The Kipp charter school in Harlem has a 96% graduation rate. Guggenheim notes that he used to believe that bad (poor) neighborhoods made for bad schools. Now he believes bad schools cause bad neighborhoods. 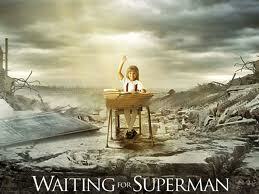 Who is waiting for Superman? The children are, and it appears he is not coming. These students need rescue—rescue from their failing, dis-affecting, de-humanizing schools. If there are any heroes in the film it is the courageous administrators and teachers of several charter schools that have been started and succeeded (almost against all odds) right amidst a ring of failing schools. Clearly, Guggenheim thinks we must offer students like Daisy something different and better, like innovative charter schools. After watching the film it is hard to disagree. However, even great charter schools lack something vital—the freedom to engage the culture of the Christian west and her queen, theology. We must settle for a secular rigor and an eclectic and unstable curriculum. Put another way, we must settle for getting urban kids to suburban standards. Still secular, still likely encumbered with all the challenges of our better suburban public schools, but still better. As well, we must ask ourselves if Guggenheim is telling all the critical parts of the story. He admits that only one in five (20%) charter schools are succeeding. He does not show any examples of successful public schools in urban settings. He chooses not to tell us the remarkable amount of money that is spent at some of these charter schools (in his film) that receive public and private funding. The organization that runs the Kipp schools, for example, has over $200 million in assets and provides students with an extensive array of social and medical services. The boarding school featured in Washington, D.C., spends $35,000 per year on each student. In other words, the charter schools that Guggenheim features are funded well beyond typical public (and private!) schools. With this kind of funding, can we really regard such students as impoverished? Diane Ravitch (a prominent historian of education) points to studies that show that only 17% of charter schools are out-performing comparable public schools, that 37% are performing worse than public schools and that 46% are performing the same as public schools. Ravitch thinks that Guggenheim is engaging in artistic propaganda and special pleading, even while highlighting urgent problems and some remarkable successes. For Ravitch, poverty is a chief causal factor contributing to student performance and thus school achievement. What she doesn’t make explicit (but seems to assume) is that urban families are in crisis and in fact disappearing as in-tact supportive communities. Without a supportive family, a student can rarely succeed in a public, charter, private or classical Christian school. Now there is a relationship between poverty and family cohesiveness, but being poor (as hard as that is) does not cause the disintegration of a family. 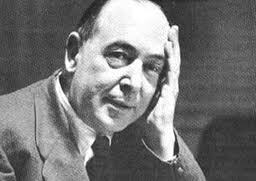 Poverty is not, per se, a sin nor does it cause sin, though it brings its peculiar temptations even as wealth does. Something beyond mere poverty is at play, destroying American families, not only in the cities but in the suburbs. Urban families, however, are clearly in greater crisis and no doubt poverty is exacerbating the family breakdown. Leaving aside, for the moment, the complex nexus of factors making war on the American family, we should remember that schools can teach but not single-handedly resuscitate a family dying from a hundred wounds. Not even great classical Christian schools. Schools cannot effectively serves as social welfare agencies, health care providers, churches, or surrogate mothers and fathers. As Jacques Barzun pointed out long ago (in Teacher in America), schools can teach but not educate, for to “educate” requires a congenial collaboration among parents, families, friends, supporters, churches, teachers, administrators and students. Ravitch notes that all the families in Waiting for Superman are supportive and invested in the education of their children (special pleading again). The reality is that far too many families are broken and unable to support and encourage their children generally, much less follow and support their education. Guggenhiem seems to think that a local charter schools can change all this. He thinks, in fact, that it is failing schools that make for failing neighborhoods—as if the local school has done the most to cause the breakdown of urban culture and families. Causation (as philosophers and scientists will tell us) is tricky and hard to pin down. Our urban culture is suffering on account of multiple causes in my view, not the least of which is the ubiquitous, invasive influence of secular mass media that is shaping the souls of our American youth in and out of the cities. 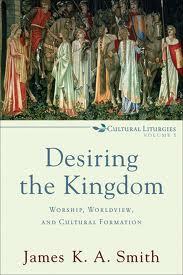 James K. A. Smith has pointed out the various ways “secular liturgies” from the mall to the athletic field to the movies to Facebook are powerfully forming our youth to love a secular ideal of human flourishing much different that the New Testament ideal of the Kingdom of God (Desiring the Kingdom: Worship, Worldview and Cultural Formation). Which leads me to say that without the revival of city churches urban schools (of any stripe) will have a greatly diminished impact. A great urban school cannot do all that is needed. In fact an urban school can only become great when urban churches support it and compliment it with their own vibrant ministries to families. Christian educators cannot flee to schools as the best means of reviving our urban youth and families. Rather churches, schools and families must form vital partnerships if there is any hope of creating culture and cultivating students not just as future workers but human souls. Private Christian educators should take note of Guggenheim’s film, but view it critically. He does engage in special pleading, generalizing and one two many straw men. He does not assess the vital role of supportive families or churches in providing education and supporting local schools. His use of statistics has been questioned (effectively by Ravitch). He does, however, powerfully portray the sad state of many urban public schools and the plight of many urban youth, who at present have no choice but to attend a school that will fail them as it has others. 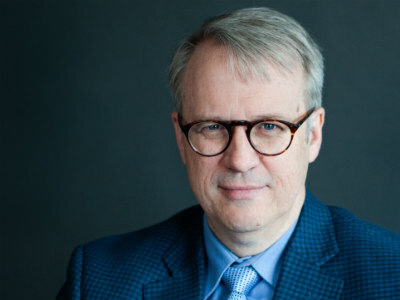 By providing a few shining examples of remarkably successful charter schools (even if very well-funded), he suggests it could happen again and elsewhere.